More and more patients are seeking facial plastic surgery to turn back the hands of time. Whether you are in your early 40’s and seeking a mini-facelift or undergoing an eyelid lift in your 60’s, the sacrifices of plastic surgery can be significant. Patients not only relinquish a portion of their savings to look more youthful, but they may also experience notable downtime and uncomfortable recovery. 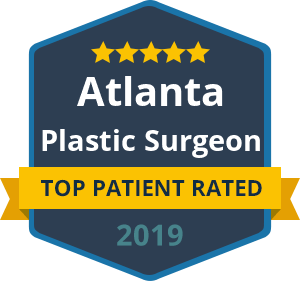 This makes it even more important to learn how you can maximize your plastic surgery investment and prolong your results. Wear Sunscreen: The single most important product after any type of facial plastic surgery is sunscreen. Protecting your delicate facial skin from harmful UV rays can delay the return of wrinkles and sagging skin. Sun exposure is known to dry out the skin, cause pigmentation as well as damage the elastin fibers in the skin. Quit Smoking: Studies have found that smoking may be more detrimental to your skin health and appearance than sunlight. In fact, reports indicate that moderate smokers were almost twice as likely to wrinkle prematurely than non-smokers, and heavy smokers were almost three times more likely. The premature aging found in smokers is due to its vasoconstrictive nature, which means that tobacco smoke causes reduced blood flow to the skin that possibly damages collagen and other connective tissues as a result. Sleep More: Daily shuteye is important to your entire body. Sleep is a time when your skin renews and repairs itself from the damage of the day’s environmental exposures. Not getting enough sleep could mean that you’re leaving this important process unfinished. Renewed skin cells leads to a healthier and more youthful glow. Wash your Face: You’ve put forth a notable investment for your facial appearance. Don’t sabotage is by not washing your face before bed. For women, this means not sleeping in your makeup. Your cosmetic foundations and powders expose the skin to free-radicals that want to harm your youthful texture and form. In addition, sleeping in your makeup can cause irritation, acne and clogged pores, which can be a major distraction to your recent facelift or blepharoplasty. Consider Non-Surgical Maintenance: Another consideration for those who want to retain their plastic surgery results as long as possible is to schedule routine non-surgical treatments. This could be anything from a chemical peel to a facial or injectable treatment to keep your face looking rejuvenated and young. At the Beverly Hills Center for Plastic & Laser Surgery, we make it a priority to help patients get the most out of their cosmetic surgery investment. To learn more tips on how to retain your eyelid lift, facelift or neck lift results, please call our office.